Brand Story BOAMIGO brand watch consists of updated classic timepieces for a more fashion conscious consumer. The watches are designed with larger cases, special and sporty leather, rubber or metal straps to create a fresh look. And our watches combines quality, leading edge fashion, the spirit of the sport, and value. And also is fashion and casual for everyday attire. Our watches always are with good value but inexpensive price. Welcome any customer to enjoy our watches and let you become more fashionable. Men sports watches dual display analog digital LED Electronic quartz watches BOAMIGO brand 50M waterproof swimming watch. And also is fashion and casual for everyday attire. Our watches always are with good value but inexpensive price. 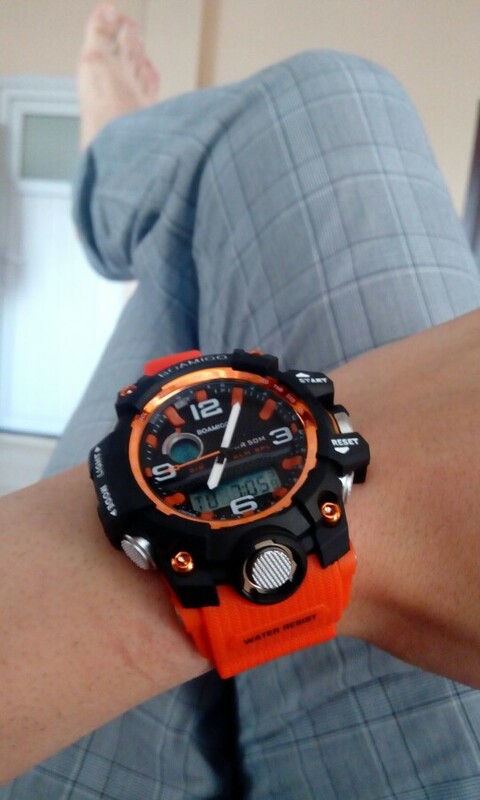 Really nice looking watch and looks to be really well built, I bought the orange also the red. 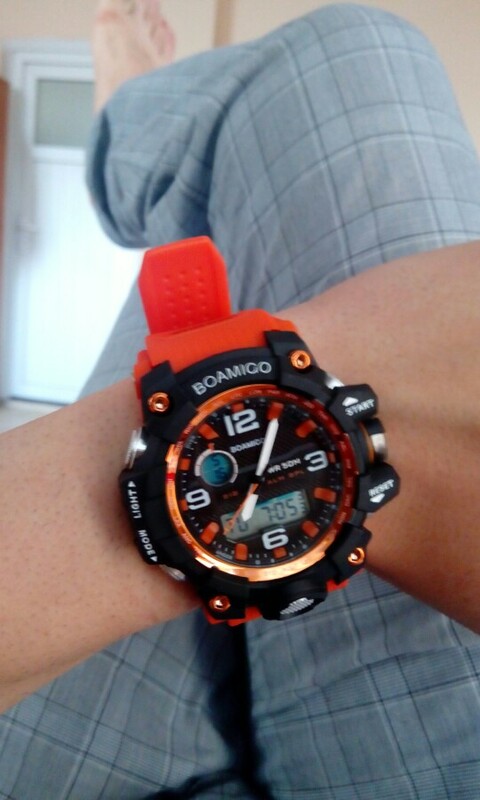 A HUGE watch! Will not go unnoticed!